Memphis International Airport in Memphis, Tennessee, is the closest International Airport to the University of Mississippi. Incoming students, researchers, faculty, and staff should make plans to arrive at the Memphis International Airport (Airport Code MEM). Check the transportation section for information about getting from the airport to the university, driving directions and other options for travel within the U.S. Incoming students should also watch for emails about airport pick up day. 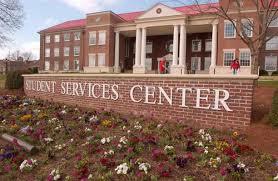 The Office of International Programs is located on the 3rd floor of the Martindale Student Services Building. The office is open on Monday through Friday from 8a.m. until 5p.m. See the campus map at: http://map.olemiss.edu/.